Many people brush their teeth the recommended twice a day but still have plaque when they go to the dentist. Perhaps this comes from improper brushing technique or not brushing for a full two minutes each time. 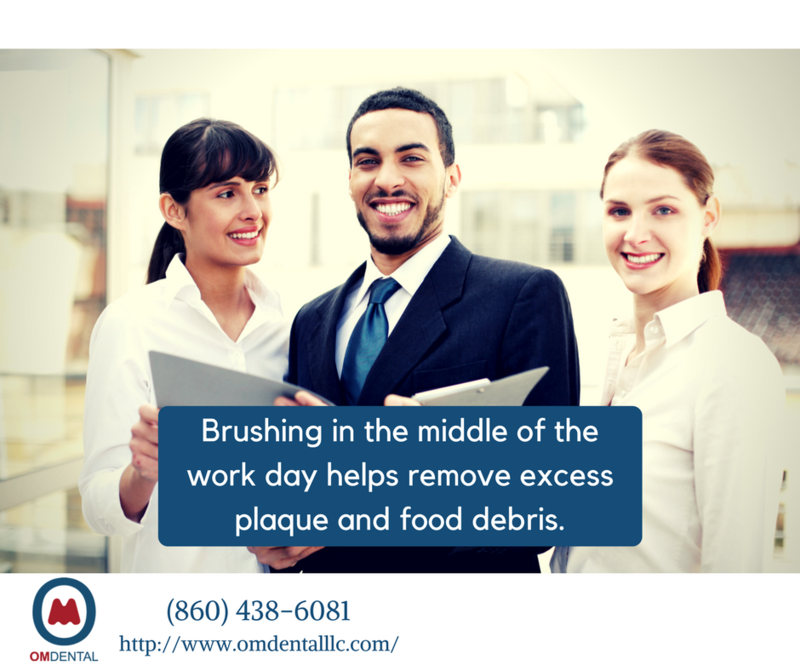 One way to help combat this issue is by brushing more often throughout the day. For many people, this means brushing your teeth at the office. Before you panic and say, "No way!" check out these tips on keeping your teeth clean at work. If you have questions about good brushing technique, feel free to reach out to us at OM Dental, the best dentist in New Britain, for dental hygiene advice. • Create a little dental hygiene kit you can store at your desk. Include a toothbrush with a protective travel case, toothpaste, floss, mouthwash, and a small cup or bag to store it all in. This way, you can grab everything you need and go! • Be extra certain that your work toothbrush stays clean. You may want to change it out more often than you change out your home toothbrush. • Use mouthwash to reduce bad breath by killing bacteria in your mouth. • Brush no sooner than 30 minutes after lunch. If you brush too soon, you could damage your teeth with any acids left over from food or drink. • Avoid snacking on candy or anything with excessive sugar. If you're hungry, go for veggies and nuts instead. • Chewing sugar-free gum increases saliva production and helps keep your teeth clean. Avoid chewing gum if you have any TMJ issues. Good dental health is correlated with good overall health, and your coworkers will be grateful for your minty fresh breath! 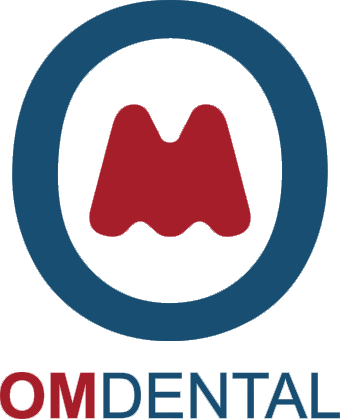 Make an appointment with us at OM Dental, the best dentist in New Britain. We have expertise in many areas of dentistry. If you're looking for information on general dentistry, orthodontics, or teeth whitening, our dental professionals are ready to help. To learn more about the range of dental services we offer, visit our website at http://omdentalllc.com/.